In Sommacampagna, the first evidence of vine cultivation dates back to Roman times. At the time, the inhabited area was called “Summa Campanea” and until today we have marvelous finds of the time, such as the church of Sant’Andrea. However, it is above all starting from the ninth and throughout the medieval period that there is abundant documentation on the cultivation of vines in the area, particularly between Pastrengo and Sommacampagna. 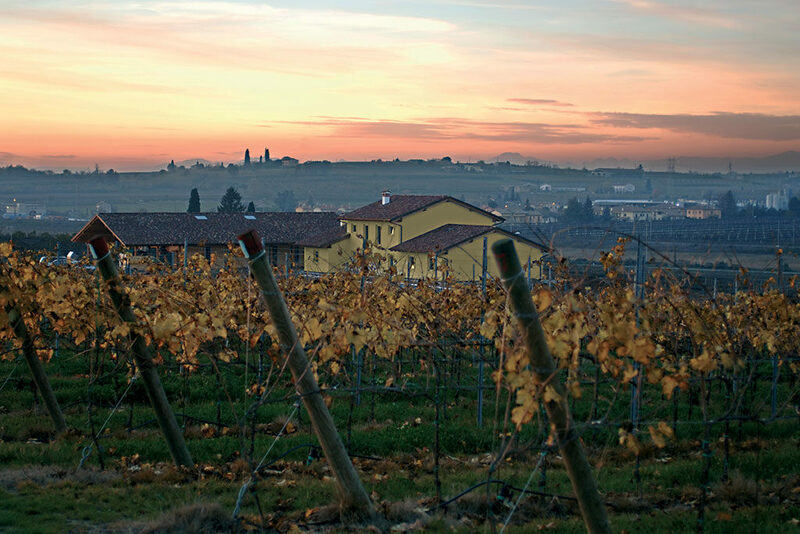 In the second half of the nineteenth century, the wine production of the area began to be explicitly identified with the name of Custoza, which refers to a town near Sommacampagna. In the same period Bardolino is also recognized. In 1897, a writer from Brescia, Giuseppe Solitro, speaking of the wines of Lake Garda, testifies that “among the most reputed in the region are those of Bardolino, which run throughout Italy and compete with the best of the peninsula”. Giovanni Battista Perez, in a text published in 1900, describes the “light red tint” wine. The town of Custoza was also the scene of the first and third Risorgimento Wars of Independence, fought between the troops of the Kingdom of Sardinia and those of the Austrian Empire in defense of the Kingdom of Lombardy-Veneto. The first war was fought in 1848 between the King of Savoy and Sardinia, Carlo Alberto, and the Austrians led by Field Marshal Josef Radetzky. This is the setting of the story of the Sardinian drummer boy, as narrated by Edmondo De Amicis in his book Cuore. In 1866 the Italian troops, led by General La Marmora, fought against those of Archduke Albert of Hapsburg. 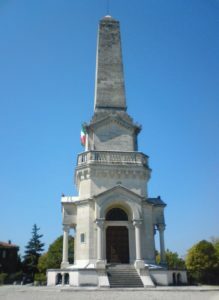 In 1879, at the end of the wars, Umberto I inaugurated the famous “Ossario” in Custoza, a collection of all the remains of those who had fallen (Italians and Austrians) during the three wars. As you leave Sommacampagna you will see innumerable shrines, churches, hermitages, convents, monasteries. They are not only places of prayer and spiritual retreat, but are also appreciated for their artistic and cultural beauty. Perfectly preserved Venetian villas embellish the landscape, culminating in the magical Borghetto sul Mincio, one of the most beautiful villages in Italy.